August 2017 Maple Ganz/Romanillos “Sombrio” – Sold. 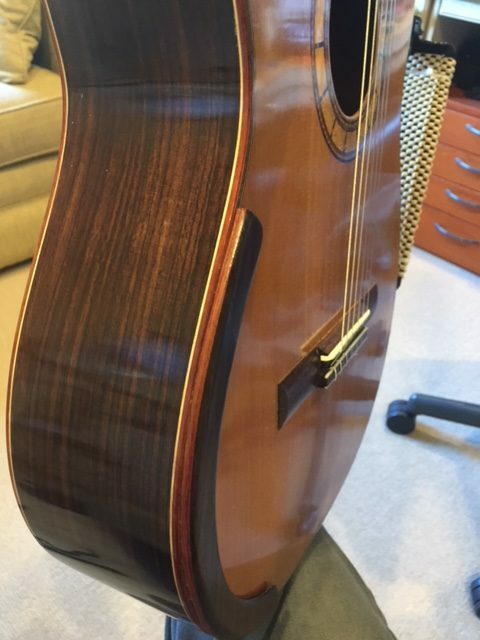 Ganz/Torres FE 5 – Spruce and Movingue – Sold thanks! Arm rests are becoming popular for guitars of all types. Why? 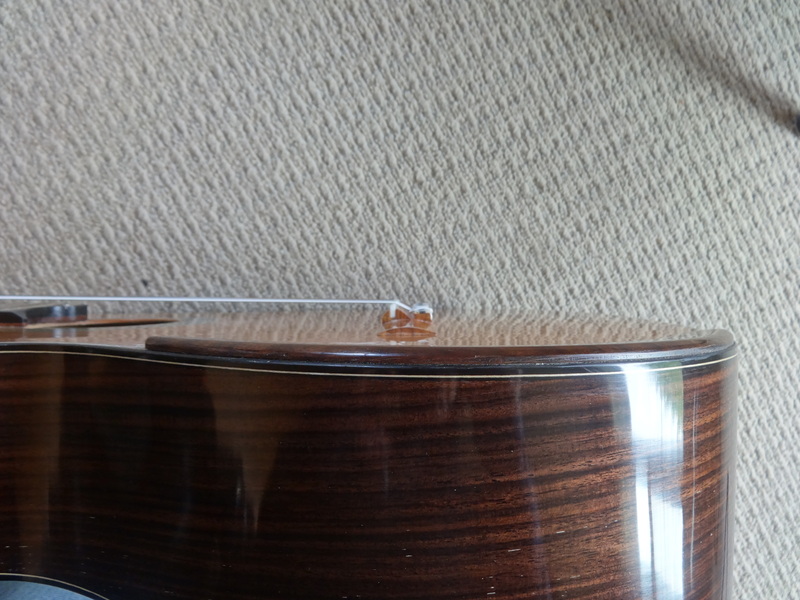 Some people think that the edge of the guitar hurts their arm. Some people think their arm actually stifles the sound when it rests directly on the top. Others note that the french polish on the top is worn by their arm. OK. 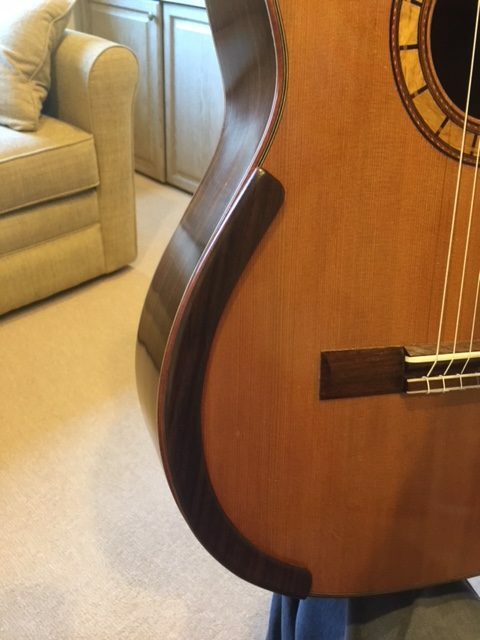 I can add an armrest to your guitar. 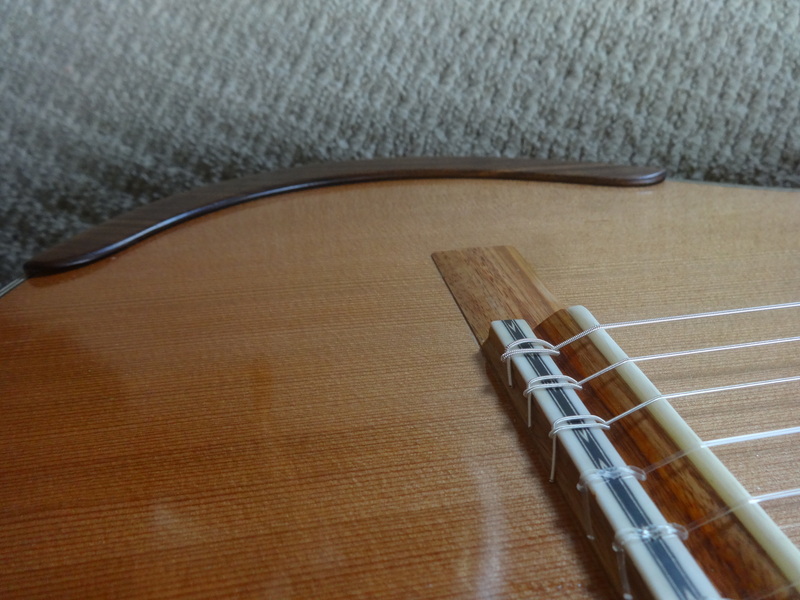 It attaches to the guitar with glue, or double stick tape. It floats above the top (a little more than a millimeter) and is only about 4mm thick total! It takes me several hours to glue up the materials and finish an arm rest for a particular guitar. Once attached it is secure, but it can be detached if desired. 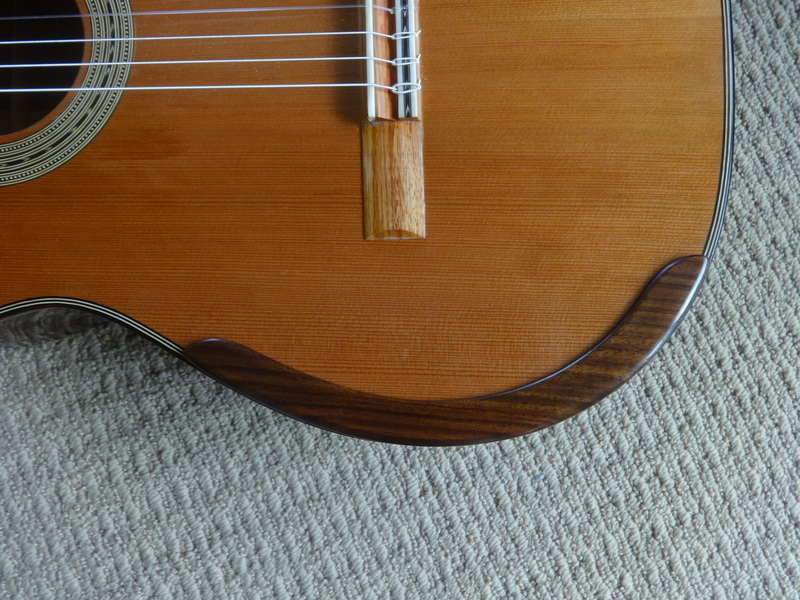 Luthier in the northwest of the Northwest. 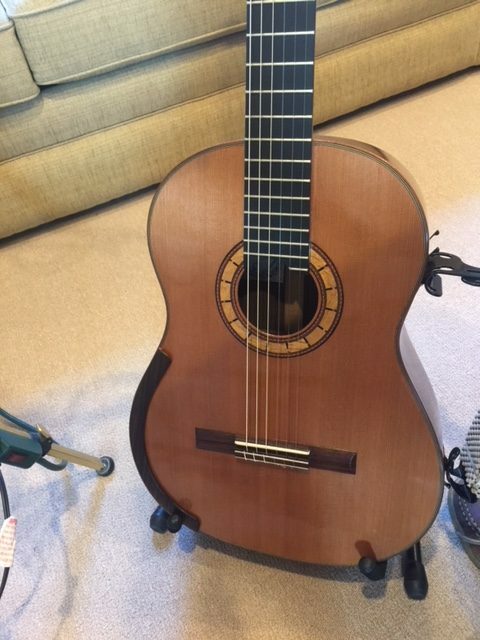 Classical guitars, custom instruments, repairs and restorations. This entry was posted in workshop and tagged arm rest. Bookmark the permalink. My arm is feeling better. Thanks Steve!